Merlin Mini RTA Atomzier with e-juice box, features 24mm diameter and 2ml huge oil capacity. It comes with Pre-installed Single Coil Deck and Dual Coil Deck for DIY lovers and a replacement Pyrex glass tube. Here is a new tank from AUGVAPE family, Merlin Mini RTA Atomzier with e-juice box, features 24mm diameter and 2ml huge oil capacity. It adapts top filling and adjustable airflow control which can prevent leaking. Atomization warehouse has a large internal space. Merlin Mini RTA comes with Pre-installed Single Coil Deck and Dual Coil Deck for DIY lovers and a replacement Pyrex glass tube. The Stainless Steel material looks luxury. With the 510 thread, this tank fits most mods. 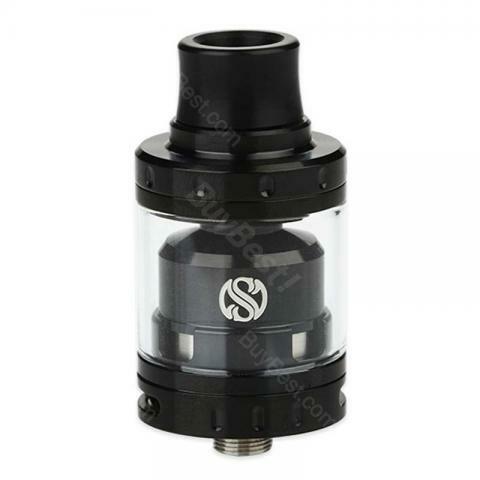 A must have tank, awesome flavor, smooth airflow and high quality. It's a top level single coil RTA, easy to build and wick. Amazing flavor! My friend uses it every day and she thinks it's No.1. It has become my favorite atomizer. Cheap price but high performance. You should get one. It's beyond my expection.